We are an award winning online travel agent based in Sydney, Australia looking after travellers from all over the world for nearly ten years. We specialise in providing you with only the most competitive international airfares through our superior knowledge, expertise and technology. At Jetabroad we help you easily and affordably book flights that lead to unforgettable journeys. Sourced from over 500 airlines. a perfect itinerary that offers value and convenience. Jetabroad can now sell trips with up to 10 flights! anywhere else in the world. wherever you're based in the world. email and phone support from our Sydney based travel agents. Over 500,000 travelers from all over the world have booked with us. 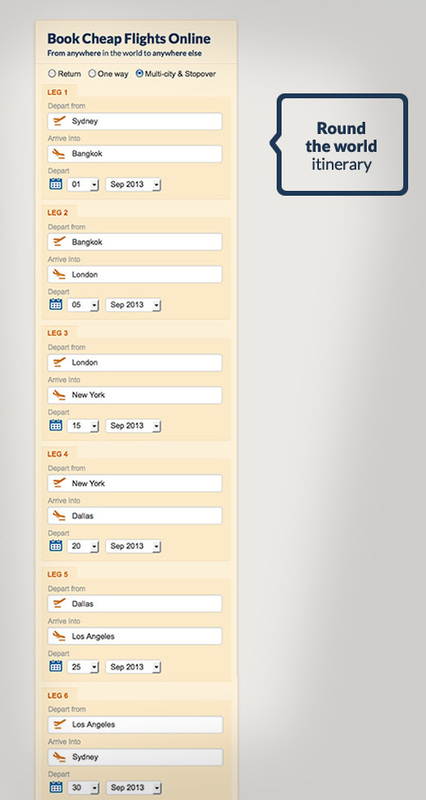 Jetabroad gives you more options with the multi-city booking engine. You can book from anywhere in the world to anywhere else. 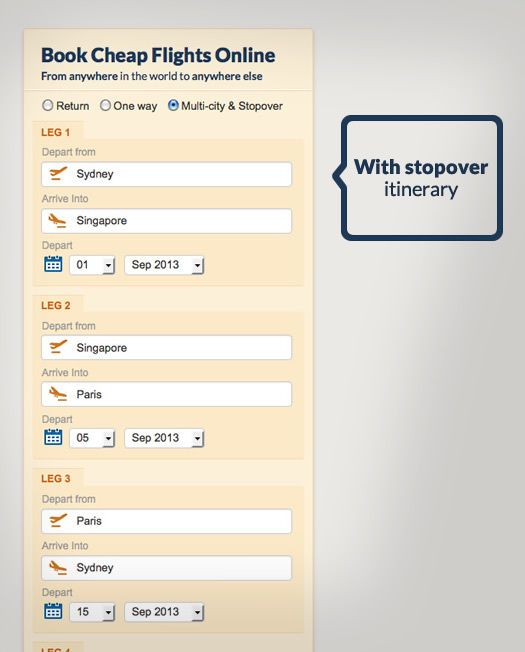 Stopover example: Sydney to Singapore (stopover) to Paris then return flight Paris to Sydney. 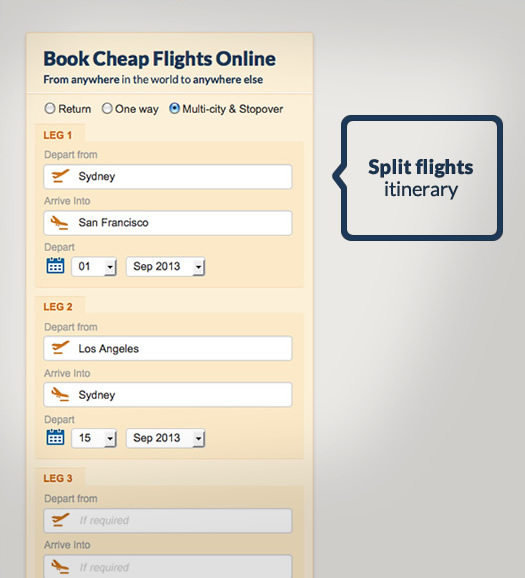 Split flights example: Sydney to San Franciso then return flight Los Angeles to Sydney. 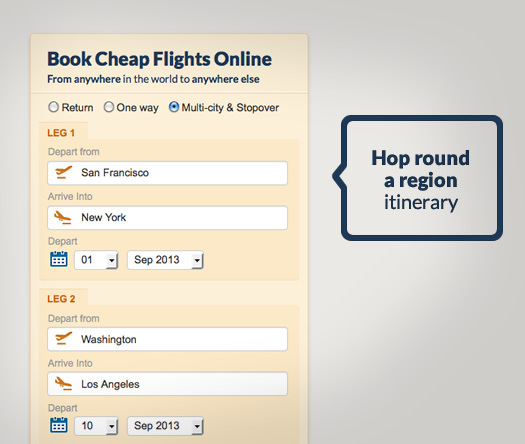 Hop round a region example: San Francisco to New York then Washington to Los Angeles. 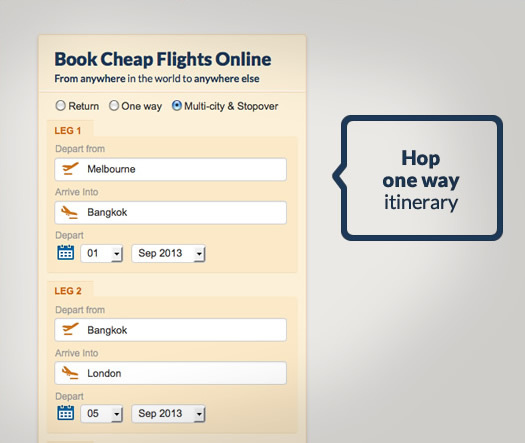 Hop one way example: Melbourne to Bangkok to London. Hop round the world example: Sydney to Bangkok to London to New York to Dallas to Los Angeles then return flight to Sydney.